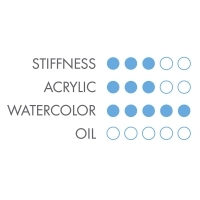 These excellent quality short handle brushes for the watercolor painter have the best point and spring of all Princeton synthetics. The special blend of varying diameters of synthetic sable fiber issues terrific spring. It looks just like genuine sable, and performs at a higher level than other synthetics. The Princeton wash brush also features a rich, distinctive gold ferrule and marbleized red hardwood handle. Bright Shader — A Bright Shader has shorter fiber than a Flat Shader. Use a Bright Shader to create delicate lines as well as for thicker applications of paint. Flat Shader — A Flat Shader has shorter fiber than a Bright Shader. The flat styling and longer hair make painting irregular details and shading easy. This brush also expands the possibilities in sign painting. 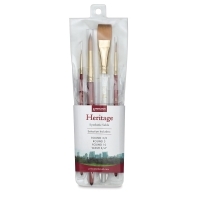 Princeton Heritage Synthetic Sable Brushes, Set of 4 — This set includes one each of Round 3/0, Round 3, Round 10, and Wash 3/4", all with short handles. 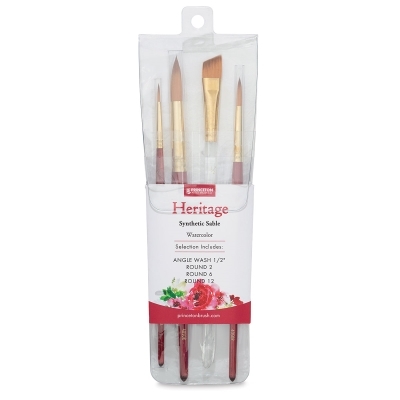 Part of Princeton’s flagship brush line, these brushes have excellent snap, point, and shape retention, ideal for watercolors and fluid acrylics. Blick Exclusive! 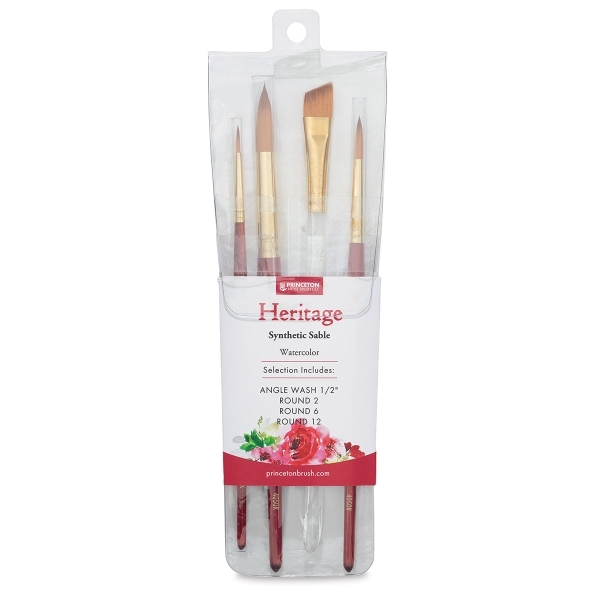 Princeton Heritage Synthetic Sable Brushes, Set of 4 — This set includes watercolor artist Jenna Rainey's favorite brush shapes and sizes, one each of Round 2, Round 6, Round 12, and Angle Wash 1/2", in a reusable plastic pouch. 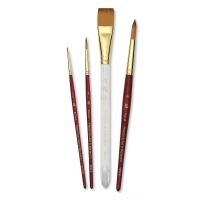 Part of Princeton’s flagship brush line, these brushes have excellent snap, point, and shape retention, ideal for watercolors and fluid acrylics.